You are currently browsing the category archive for the ‘Virtual Worlds’ category. For the next two weeks (until October 29, 2010), Virtual Goods World is offering a two-day pass to the conference for just £950, a savings of £1,245. Register now to take advantage of this unprecedented offer. For many years, European companies have played a pioneering role in the field of virtual goods. Several of the first successful virtual goods-based businesses outside of Asia, such as Habbo Hotel, were launched by European companies, and today Europe represents a rapidly growing market from both a content development and user distribution perspective. Virtual Goods World has attracted an impressive array of speakers including CEOs from many of the most innovative companies in the space including Sulake, Outspark, and Sparkplay Media. Register today to be part of an in-depth conversation on how to leverage the explosive opportunity in the virtual goods space. Tucked away in Room 5 on the ambiguously named “Technology & Results” track at the Virtual Worlds Conference, Matt Palmer and Glenn Ginsburg presented a session titled “Stardoll: The Next Level of Engagement”. Stardoll not only represents the next level of user engagement, it also represents the state of the art in brand integration and virtual goods business models. Stardoll has over 16 million registered accounts and is adding 35,000 new accounts per day. But Stardoll doesn’t suffer from registered account bloat; the site reaches 7.8 million unique users per month. Those users generate 600 million page views over 35 million visits per month. Even at a modest CPM, that’s a whole lot of revenue, but Stardoll’s business doesn’t rely on banner ads. Instead, Stardoll relies on virtual good sales and integrated sponsorship. As result, they simultaneously achieve a higher revenue per user and provide a better user experience. But more about that later. Perhaps you’re thinking that this growth must be the product of a massive, expensive, unsustainable media campaign? Not a chance, Stardoll hasn’t spent a dollar on paid media. Growth is driven by viral buzz and press exposure. Stardoll is an international phenomenon. It was started by a Finnish woman who wanted to share her passion for fashion with her friends and family. Today, the 60-70 employee company is headquartered in Stockholm, but commands a global audience (44% in the U.S., 46% in Europe, and 10% in Asia). The site has been translated into 15 languages and additional translations, such as Japanese, are on the way. Not suprisingly, Stardoll’s audience is primarily female (93.1% female, 6.9% male). The site appeals at a universal level to its key demographic - a demographic that has been notoriously difficult to reach in a meaningful way. Stardoll is attaining scale without diluting their core audience; it has the highest concentration of teen girls of any online service. In addition to teenage girls, the site has found a surprising audience - their mothers. 81% of mothers visit Stardoll weekly and 63% visit the site without their daughter. Co-viewership on that scale is virtually unheard of on the web. Who Knew Putting On Clothes Could Be So Much Fun? At Microsoft Game Studios, we urged our first party developers to identify their game’s core fun as early as possible. Once that core fun is identified and refined, building a great game is actually pretty straightforward. For Halo, the core fun is aiming and shooting with a variety of well-balanced weapons. For Age of Empires, the core fun is establishing an efficient unit production pipeline. The Stardoll team knows that their core fun is dressing a paper doll. Apparel is dragged off hangers and onto the paper doll. It can be placed anywhere on the screen, and that simple mechanic yields a good deal of fun. Want to give David Hasselhoff that much needed gangsta look? Drag his pants down low. Think it’s about time for Avril Lavigne to ditch that good girl look? Low rise pants and a little cleavage couldn’t hurt. 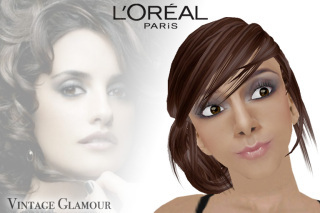 Stardoll builds on that core fun with an array of thousands of dress-up and make-up options. This gives Stardoll’s entire audience, from Goth girls to Glam chicks, a powerful way to express their unique identities. Stardoll’s dress-up function acts as the foundation for a broader experience that looks a lot like other virtual worlds. Stardoll users get their own space, called a Suite room, which they can decorate to suit their tastes. A new chat feature lets a user share the dress-up experience by inviting a friend to her Suite room. The heart of Stardoll is StarPlaza, an online shopping mall that features Stardoll’s internal brands, such as Fudge and Pretty in Pink, and real world brands, such as DKNY. Stardoll also features an active aftermarket, called StarBazaar, where users and buy and sell items in their wardrobe. Basically, its a virtual vintage shop. To date, all of the apparel and other virtual items in Stardoll have been designed by Stardoll’s creative team. StarDesign is a soon to launch feature that allows Stardoll’s audience to create their own fashions. The combination of StarPlaza, StarBazaar, and StarDesign will enable Stardoll’s users to participate in a rich virtual economy based on the fashion they love. Stardoll’s virtual world features are complemented by features that are more commonly seen in social networks. Each user is given a profile page that looks a lot like a typical social networking profile page. However, due to the site’s younger demographic, the contents of the profile pages are limited. Girls can’t upload photos, but they can express themselves with images of their MeDoll and a variety of profile customization options. Stardoll also features Clubs that are similar to Facebook Groups. The Clubs feature was launched five months ago and there are already over 500,000 Clubs in the system. Six figure real estate deals in Second Life and massive gold farming in World of Warcraft are what get the media’s attention when they talk about virtual goods. But Stardoll is the company that has flawlessly unlocked the power of the virtual goods business model. The first key to Stardoll’s success is that they’ve found a genre of virtual items that are truly valuable to their audience. Celebrities and their fashion are an aspirational obsession for millions of people around the world, and Stardoll taps directly into the vein of that obsession. That same insatiable desire to look trendy in the real world translates, without skipping a beat, into the online world. The second key to Stardoll’s success is that they provide an incredibly rich platform with which fashion brands can reach their demographic. As soon as fashions hit the runway or the retail shelf, they are available in Stardoll. If a girl thinks her MeDoll looks cute in that new pencil skirt from DKNY, she can run out that day and grab the very same skirt from her local brick and mortar mall. That same branding extends beyond just apparel. MeDoll make-up is provided under the Sephora brand and jewelry is based on designs from Heidi Klum’s jewelry collection. All of this makes Stardoll one of the most powerful branding and lead generation tools thats ever been available to the fashion industry. They have even had consumers ask when Stardoll’s house brands, such as Pretty in Pink, will be available in brick and mortar stores. Stardoll doesn’t fall back on banner ads to augment their virtual goods business. Instead, they weave marketing messages into the features of the Stardoll experience and, as a result, create an advertising experience which is fun, engaging, and far more powerful than static banner ads. For example, during a recent advertising campaign for Disney’s movie Enchanted, Stardoll took scenes, characters, and costumes directly from the movie and incorporated them into the world. As a result, Stardoll’s users could immerse themselves in the fiction of the movie and develop an attachment to the movie world before Enchanted even hit screens. In a unique twist on banner advertising, Stardoll offered a poster that users could hang in their Suites. That poster was hung in hundreds of thousands of Suites and generated millions of ad impressions. Stardoll’s approach to advertising generated everything from casual brand impressions to deep engagement in a way that added value to the audience’s experience and was elegantly integrated into the site’s core activities. Stardoll provides a similarly rich branding platform to actors and music artists. Every celebrity featured on Stardoll has their own unique URL so that they can use their Stardoll presence as a promotional vehicle. In addition, Stardoll often runs explicit promotions for celebrities and musicians who are featured on their site. For example, Stardoll recently ran a contest where a member of their audience was flown to an Avril Lavigne concert and got to meet her backstage. Although virtual goods have resulted in extraordinary success in Asia, there has been some doubt as to whether virtual goods would become a mainstream business model in Europe and the U.S. When Cyworld recently close its doors in Europe, some people asked whether virtual goods would ever be relevant outside of Asia. Stardoll is proof positive that virtual goods have a very promising future in Europe and the U.S. The Stardoll team has hit on a recipe that is uniquely engaging to their core demographic, and they are leveraging that recipe to provide maximum value to their users and their advertisers. I’m glad that I stumbled into Room 5 at the Virtual Worlds Conference. Stardoll is defining the future of virtual goods today — and I’m amazed that they’ve flown under the industry radar for so long. Stardoll has captured the attention of 16 million girls around the world, but they don’t even have a Wikipedia page. This article is primarily inspired by Virtual Worlds By The Numbers: Today and The Future, a session in the Marketing and Entertainment track of Virtual Worlds 2008 conference in New York City. The panel included Yuanzhe (Michael) Cai, the Director of Broadband & Gaming at Parks Associates; Jack Myers, President of Myers Publishing, LLC; and Joey Seiler, Editor of Virtual World News. It is part of a series on Virtual Worlds 2008. In the face of significant competition, the biggest challenge for a new virtual world isn’t attracting new users, its retaining them from month to month. This challenge is particularly acute for virtual worlds targeting a younger demographic who have short attention spans and often migrate between worlds. In the past, it seemed that the best practice for retaining virtual world users was to provide an open world that put the social aspects at the front and center of the experience. This reflects the notion that virtual worlds are open playgrounds rather than lightweight video games. Today, there’s an evolution that is happening at both the micro level (i.e., for each individual player) and the macro level (i.e., for the industry as a whole). As the initial social novelty of a virtual world wears off, users seek out more structured activities to keep themselves entertained. Open virtual worlds, like Second Life, give players the tools to create their own structured activities. Tringo, a multiplayer game created by a resident of Second Life, is a great example of how a single user’s efforts enriches the overall world. However, relying on users to keep themselves entertained can be a tricky business — especially when greener pastures are just a click away. In Designing a Gameless Game, Sulka Haro discusses how Sulake enriched the Habbo Hotel experience with game-like elements and structured activities. In some cases, this involved canonizing ad-hoc activities into formal mini-games and in other cases it involved adding lightweight mechanics that act like the jungle gym on a playground. These additions have helped Habbo achieve its impressive growth. But, as designers add game mechanics to virtual worlds, there’s a danger of virtual worlds losing their distinct identity and being subsumed into MMORPG’s. Jack Myers described what users want in a different way. He proposed that users don’t necessarily want gameplay, they want “curated experiences”. That’s a brilliant way to describe what users want because its so much more open and appropriate than thinking in terms of gameplay alone. The curator of a user’s experience can take many forms: game mechanics, tutorials, community managers, virtual companions, other users, and even the user himself. And the experience can take many forms as well. It can be as simple as traversing the world or as sophisticated as creating parts of that world. Ultimately, curated experiences are a way to suggest goals to a user and guide that user to achieving those goals. When a virtual world’s users don’t have goals, wanderlust sets in and that world risks losing its hard won audience. Like an accomplished museum curator, virtual world operators must act with a subtle hand to guide their audience to the most compelling parts of their collection. What do you think of when you here the term “virtual world”. For most people, the term virtual world evokes images of Second Life’s muted, sometimes absurd 3D landscapes and its overly geometric, lightly textured avatars. We’re all familiar with Second Life’s somewhat clumsy rendition of the real world where the fantastical looks out of place, but the realistic doesn’t quite fit either. Its exactly what I imagined in the early 1990′s when the notions of cyberspace, metaverses, and virtual reality came of age. And, if you haven’t noticed, the press loves Second Life just as much as the industry. It has the perfect name for a headline, and the sordid details of its residents’ lives are as juicy as those of Client #9. Second Life’s membership of 13 million registered accounts pales in comparison to many of its virtual world brethren (Habbo claims to have 90 million), and its ratio of active users (estimated at 1.4 million) to registered accounts is a mere 11% compared to the industry average of 25%. When you look at virtual worlds by the numbers, Club Penguin, Habbo Hotel, Stardoll, and their counterparts are what really matter and are what the virtual world industry should be obsessing over. In the past year, Second Life’s membership has languished, while every virtual world of equivalent or greater size is growing rapidly. As mentioned, its active user ratio of 11% trails far behind the industry average of 25%. Although Second Life is one of the top 5 virtual worlds that people have tried (Neopets, Second Life, Webkinz, Disney’s Toontown, and Club Penguin), its the only 3D one and the only one not aimed at kids. Second Life is male dominated (70% men vs. 30% women), but most other virtual worlds of equivalent or greater size are either gender neutral (Habbo Hotel) or predominantly female (Stardoll and Barbie Girls). According to the Parks Associates study, 36% of respondents participate in virtual worlds to play games and 21% participate to create and manage an avatar. On average, only 19% of virtual world participants are looking to escape real life. The motivations of Second Life users are very different. The most popular reason to participate in Second Life is to escape real life (cited by 50% of users) or to create an avatar (cited by 40% of users). Second Life residents are disillusioned with the commercialization of their world. According to a research study of 200 Second Life residents, 70% of Second Life users are disappointed with corporate activities and 40% think that the corporate activities are one-time affairs and won’t last. Those prognostications will likely fall on deaf ears. Consider that 80% of users of MTV’s virtual worlds have purchased a branded product and their users have generated over 50 million viral endorsements via their use of branded items. 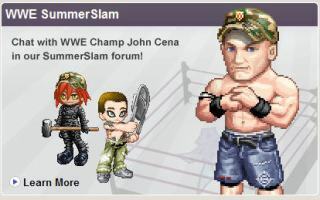 Habbo Hotel, Stardoll, Gaia Online, and others have had similar success with branded items and sponsored campaigns. Linden Lab deserves a lot of credit for what they’ve created with Second Life. They built a visionary product that has inspired an industry, and their media machine has ignited the general public’s interest in the space. But, as with many visionary products, their future lies with a small, but fervent early adopter audience. In many ways, Second Life is to the virtual world space as Everquest was to the MMORPG space. Just as World of Warcraft brought MMORPG’s to the masses, Habbo Hotel, Gaia Online, Stardoll, and others are distilling Second Life’s essence into an elixir fit for mass consumption. Second Life is dead. Long live Second Life! Virtual World News announced today that TurboSquid has partnered with VastPark to distribute their collection of 3D assets via VastPark’s virtual worlds platform. Currently, TurboSquid acts in a capacity similar to stock photo agencies such as iStockphoto; they provide pre-fabricated 3D assets to game and virtual world developers. These developers use TurboSquid’s assets to augment their internal art teams in the same way that a book publisher might use stock photos to augment their internal art & design team. However, the true value of a virtual good isn’t determined by the material from which it is made (in this case, the 3D geometry and textures that TurboSquid sells to developers), rather it is determined by the economy and social context within which it is sold. So an asset that TurboSquid sells for $300 in a B2B transaction may generate tens of thousands of dollars in B2C sales if it is used to create a rare, sought-after in-game virtual item. Accordingly, TurboSquid seems to be shifting their strategy from a stock asset agency to a virtual goods provider. The first step in this shift is their partnership with VastPark. VastPark has been described as “the Ning of virtual worlds”. Using VastPark, anyone can create and share their own virtual world. With this partnership, VastPark’s users will be able to use TurboSquid’s extensive collection of assets to make their worlds richer and more immersive. “Ultimately where we’re trying to go is to take 3D to the consumer marketplace. We’ve done very well with sort of stock 3D and the professional marketplace. The big picture is when regular consumers are buying 3D, whether it’s clothes for their avatar or avatars or any representation they want to have online. We’re trying to connect the consumers to the artists in the virtual worlds.”"